Visited by approximately two million people each year, St Paul’s Cathedral is a lasting monument to the glory of God and a symbol of the hope, resilience and strength of the City of London and the United Kingdom. 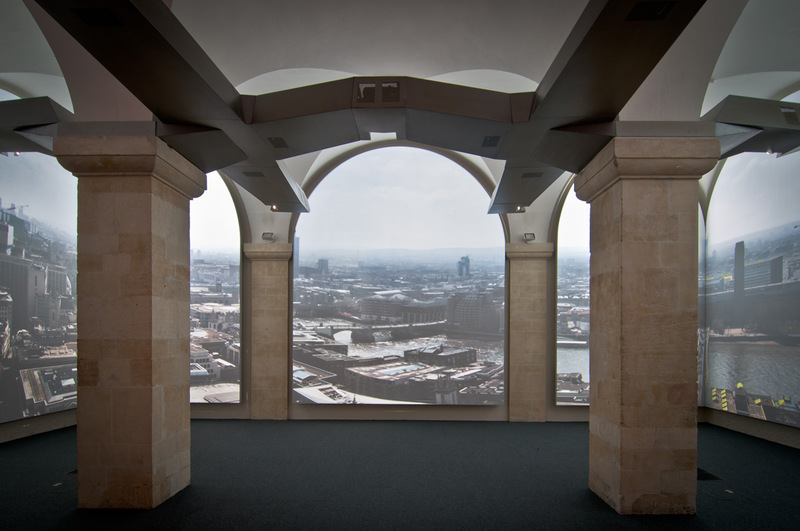 The ground-breaking exhibition Oculus: an eye into St Paul’s, opened in July 2010, bringing the building’s 1,400 year history to life. The first project of its kind in a cathedral, Oculus uses state-of-the-art projection technology to create a 270 degree film experience that immerses visitors in the fascinating stories and history of the iconic landmark. 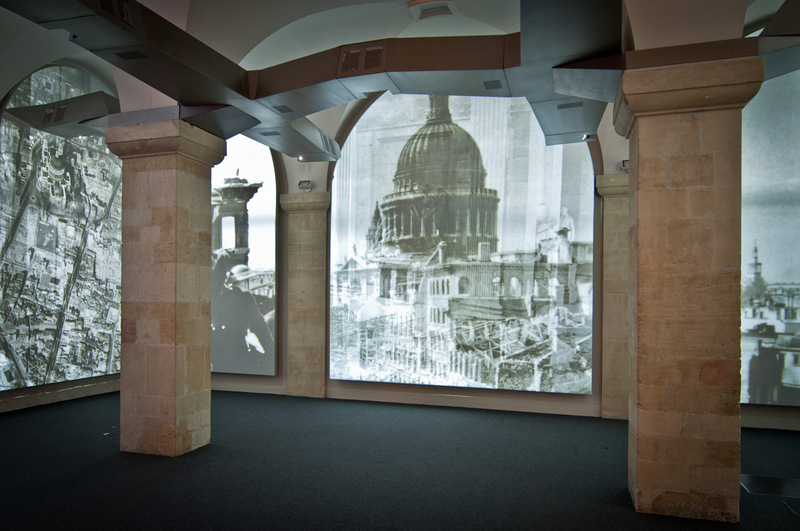 Located in the atmospheric former Treasury in the crypt, Oculus takes visitors on a four-minute journey from Saxon London amidst the construction of the first St Paul’s in 604AD, through the buildings on the same site that have fallen to fire and disrepair, before showing them the Great Fire of 1666 and the devastation of London during the Blitz. Visitors also discover the life of the cathedral, experiencing St Paul’s as a vibrant church in the heart of a cosmopolitan city where worship forms the heartbeat and rhythm of each day. 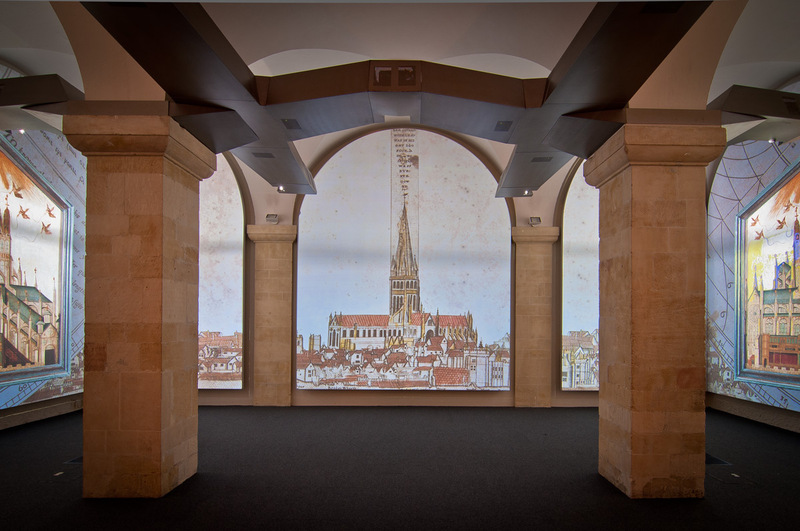 Two virtual access films open up areas of the cathedral that visitors with mobility issues might not otherwise reach. The audio system was designed to provide high quality audio for listeners, but this had to be considerately balanced with a need not to intrude into the rest of the crypt and the cathedral. The first film flies visitors through the world-famous dome. First, they are whisked up the 257 steps to the acoustic quirkiness of the Whispering Gallery. Visitors continue to climb the corkscrewed narrow stairwell before stepping onto the Stone Gallery and then further up a network of spiralling iron staircases to a height of 85 feet from the ground floor, and the reward of 360 degree panoramic views of London. A second film reveals Wren’s room-sized Great Model, one of the finest architectural models ever created and built by Christopher Wren for King Charles II. 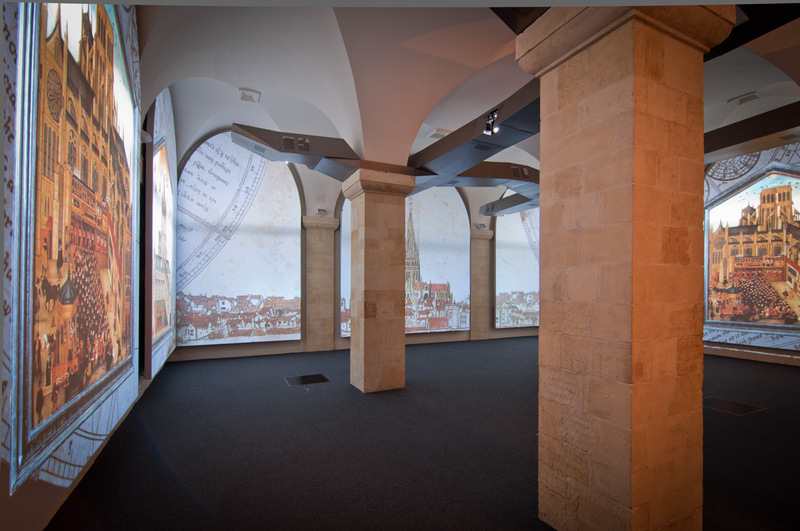 The film’s four-metre-high projections take visitors into the interior of the model and reveal its beauty in close-up detail. Oculus is set within a timeline spanning 1,400 years of history and interspersed between the films are timeline sequences in which images and dates float across the screens.